I am free now. I can go wherever I wanna go. So, today I’m going to The Coffee Club. Before anything else, a little background about The Coffee Club. And now... 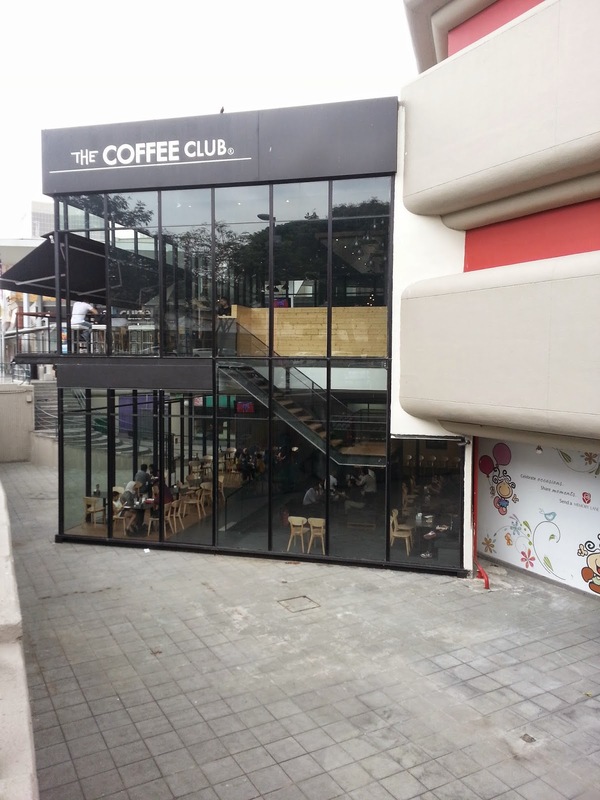 The Coffee Club Group (The Coffee Club) has expanded to Malaysia! As we entered, we were being greeted by cheerful waiters and waitresses. We entered upstairs but there were no more tables and the waiter suggested to go downstairs instead. We found a seat for ourselves and proceed ordering. While I ordered Signature Iced Chocolate for myself. 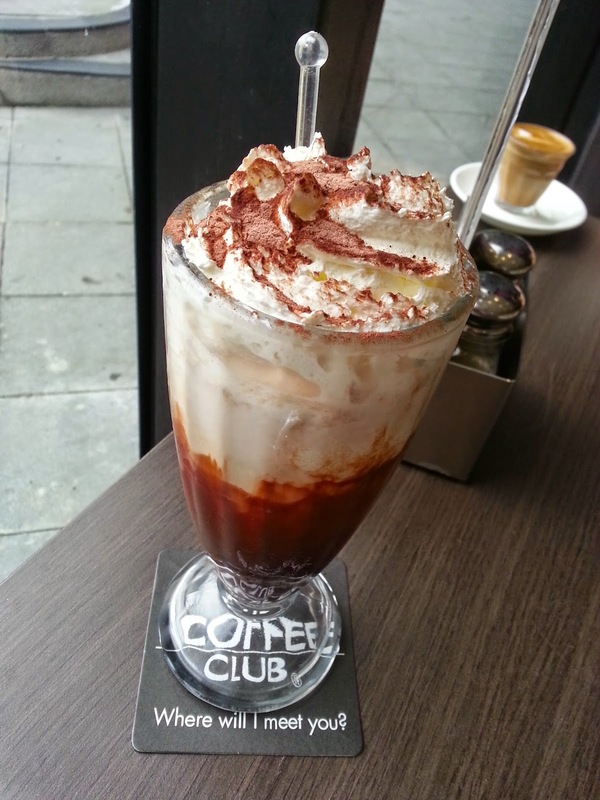 I am hunting for the most awesome Iced Chocolate in Selangor so that I can forget about the hot chocolate I had in Shanghai. I know I should be hunting for Hot Chocolate instead so that the competition is fair, but it was cold in Shanghai, that’s why I had Hot Chocolate. It’s hot here in KL! So, I hunt for Iced Chocolate instead. Makes sense, yes? Yes. I shall have my Top 5 list… or maybe Top 10 and have some extra weight to lose at the end of this quest. *grins. This is getting out of topic. 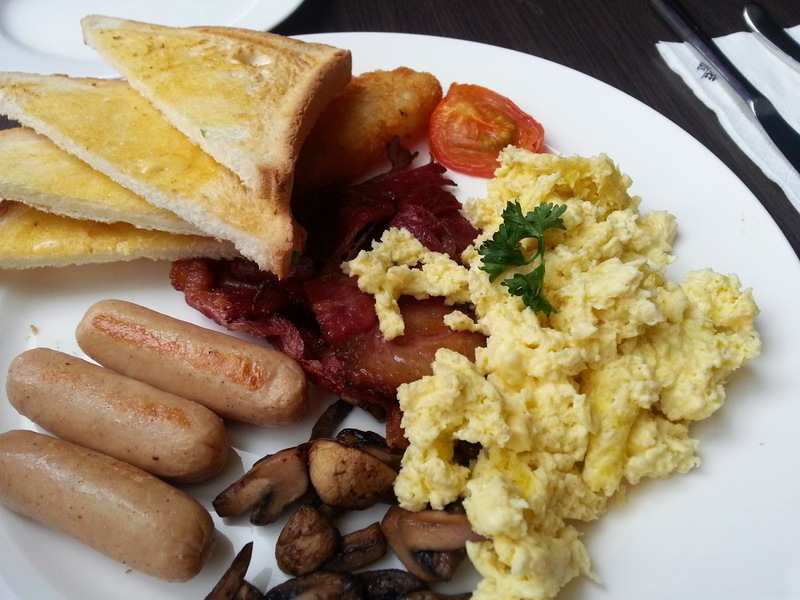 For food, we ordered Big Breakfast! I LOVE BIG BREAKFAST. I haven’t have them since forever! I have no complains about the Big Breakfast. You can actually choose how you want the egg like. Scrambled, Sunny side up or poached. Obviously, I had mine scrambled. The hash brown is nice. My aunt complaint it was oily tho, but it’s fine for me. The sausage is nice. The bacon is nice. The egg is nice. The mushroom is nice. EVERYTHING on that plate is nice! Hahaha!